In a lot of ways, caring for a conscience is like watching your weight on the bathroom scale. A friend of mine recently lost a lot of weight on the Wheat Belly diet. She lost so much, in fact, that she felt she was probably destined to continue to lose weight. At first, she just quit weighing herself every day. Then she only weighed in once a week. 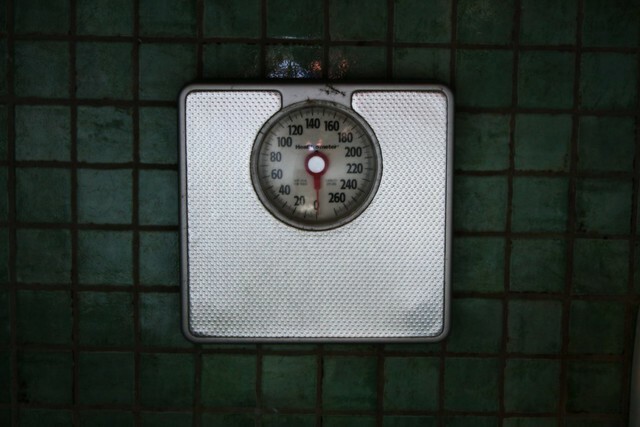 It wasn’t long before her bathroom scale was stuffed under a chair, collecting dust. My friend continued to skip wheat and and other grains. She also found that she could eat nuts and fruit and even dark chocolate on her diet. Her clothes still fit, but her newer clothes started to get a bit tight. Then one day, she saw herself in the mirror. Was she really still losing weight? She brought her trusty scale out. To her horror she found that her weight loss had stopped, and she had even gained back 10 pounds! And so it is with conscience.